Finance Transformation Failure Risks makes you aware of what can cause failure and avoid the mistakes. Research has established that most major transformation programs either fail or underperform. 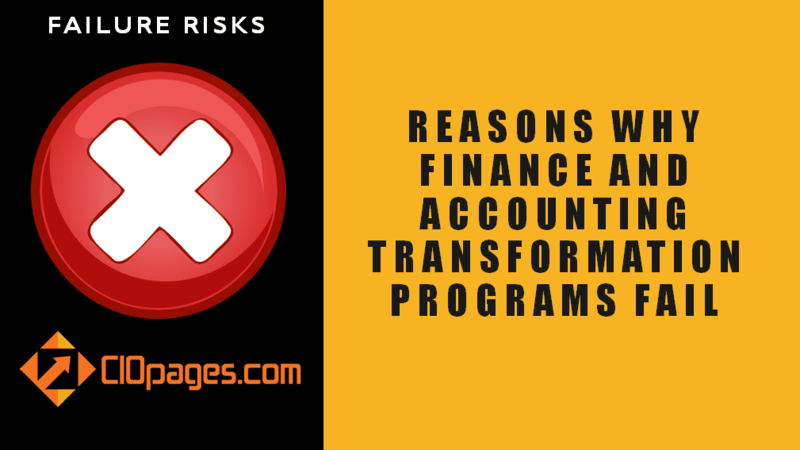 A Finance and Accounting Transformation program is no exception from the failure risk. 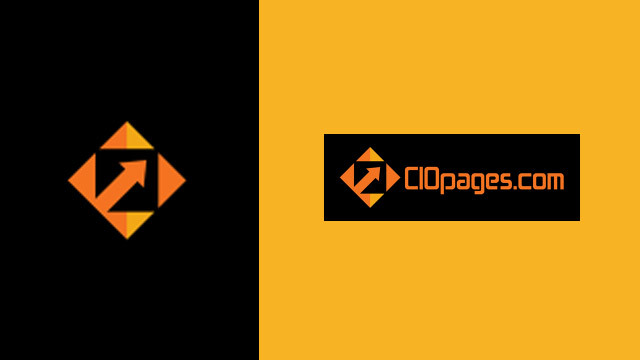 This CIOPages.com deliverable identifies and elaborates the factors that might impact a Finance and Accounting Transformation program adversely, and provides ideas on how to mitigate such risks. The Accounting and Finance Transformation Failure Risks consists of an overview and outlines a dozen frequent failure risks that affect a Finance and Accounting transformation program. As the Accounting and Finance Transformation Failure Risks is a digital product, there are absolutely NO Returns. Depending on your industry, the type of solution you are implementing, and the project scope, some or all of the content may or may not be relevant to you. How is Finance Transformation Failure Risks useful to us? Given most significant transformation projects fail or underperform, knowing the highest impact risk factors and mitigation ideas will help you lower the possibility of failure in a Finance and Accounting Transformation program and consequently increase the odds of success. A handy list with concise and coherent content helps reduce the time and effort it will take to identify the failure factors from scratch. Instead, you can work on how to minimize and mitigate such failure factors. Each company may be different, but at the end, Finance and Accounting is a strategic function and impacts the core operations spanning every aspect of a firm’s business. So, much of the content will be useful to most companies, while the degree of emphasis and applicability may vary. The CIOPages Finance Transformation Failure Risks will be a starting point to identify the failure factors and then based on what is relevant and applicable to your situation, craft a plan to minimize and mitigate those failure factors. Finance Transformation Failure Risks is available at a steep discount as a part of the Finance Transformation Toolkit Enterprise Edition. Would you rather consider purchasing the bundle?